Tile is one of the best and preferable choice for flooring in the house. The best thing about tile is, they are water resistant, durable, and easy to maintain. They also look modern and give super luxurious look when carefully looked after. As the tile themselves are very easy to wipe clean, the grout in between isn’t a piece of cake. 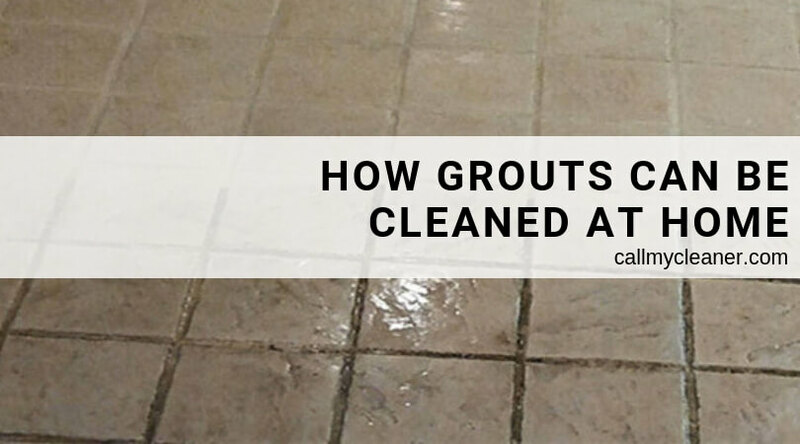 As we all know grout are porous, dust and spills easily gets accumulated in the grout, they tend to soak in, leaving tarnished and soiled-looked grout. There are range of tiles available in the market, they are frequently used in bathrooms and kitchens. These are the location where they are susceptible to staining and discoloration. To maintain your tiled floors and to enjoy them for longer time by keeping your grout clean and sparkling. Use these simple tips and tricks by My Cleaner Experts. Add one-part of hydrogen peroxide and two-part of baking soda to make a paste. Utilizing your grout brush or toothbrush, apply the solution on the grout, making sure the paste is properly applied and wholly covering the grout area. After applying the solution leave the solution to set into the grout for at least 10 minutes. Leave it for as long as an hour like, but 10-15 minutes is good enough time to show it’s magic. Utilize the same brush to scrub thoroughly the paste into the grout to remove any dirt or stain. Keep going until you’re happy with the progress it’s made. Wipe the excess paste using a cloth. Paper towel is also a good option to clean the excess. Lastly, for the final touch on your grout, give a nice mop to your grout. Using a new clean grout, your tiles floor will look fresh and ready to impress. If you feel like your grout need some professional cleaning, then you can approach My Cleaner is the one on whom you can totally rely on. We have years of experience in tile and grout cleaning. We have the best tile and grout cleaners in Cape Coral and nearby areas. We provide tile and grout cleaning in Cape Coral and many more other cleaning service.